Historic building traditions are successful adaptations to the uniqueness of places. They represent the best judgment of generations to create a good fit. These traditions connect us to a shared past and the people who cultivated this place long before we arrived. By respecting local traditions we sustain indigenous character, and confirm this is a place worth keeping. America’s best preserved historic places are also its most revered. Each has a building tradition with models to emulate, and architects, builders and craftspeople adept in local conventions. If you can find them, they can provide new work that fits the setting while appropriate for life today. Here are some ideas implicit in building traditions and how they support coherent places. Consider the new house within a larger context—a street, landscape, neighborhood, and cultural region—and its potential arrangement on the site. Enhance the natural setting and historic character. This could mean adapting the design to fit existing contours, orientation to the sun, views, or a distinctive pattern of development. If the area is long established and with a rich cultural heritage there will be vernacular building traditions to draw upon. Respect these traditions and the new house will be a successful response to its context. Historic building traditions provide practical guidance and embody the wisdom of earlier builders. Traditions have an implicit set of rules and practices, a kind of DNA to generate form. The rules suggest appropriate building types, scale, features, materials, construction methods and details, and give the tradition its distinctive flavor. Use these rules to create new designs, and invent as necessary within these constraints. Traditional houses are made from fundamental characteristics, not as a style applied like frosting to a cake. Learn to recognize historical patterns within the specific house types— their layout, massing, roof forms, and details— and use these to develop an authentic character for the project. Respect the scale and proportions of traditional models. A common mistake is to pick the wrong model. We have all seen the wee Cotswold cottage blown-out to McMansion proportions. The new house will feel right if it is appropriately scaled. Historic houses were often smaller than houses built today. If the program requirements are too big for the historic type, select a different model or scale-down the project. Another common strategy is to design the house to appear as if it had been enlarged in stages over time— which was typical of early houses. To make a well-detailed traditional house more affordable, avoid redundant and underutilized space. Develop multi-use spaces that will do double-duty rather than separate rooms for every use. A smaller house rich in spatial variety and detail may satisfy more directly what many seek in a big house. Find the most direct and least complicated solutions to design problems—ones that show resourcefulness. The challenge is to make every feature of the house satisfy more than one objective, and for all features to support the overall vision. The best way to care for the future is to be mindful of the past. Cultivate a wider perspective on local building traditions and significant precedents. For new construction select long-lasting materials and methods of construction that have withstood the test of time. Authentic building materials may cost more initially than simulated ones, but last longer and ultimately be more cost-effective. Consider using materials that develop a handsome patina, like stone, copper and handmade brick. Some salvaged materials, like remilled old growth lumber for new flooring, are of higher quality than what is available today. Avoid over-developing the house in its initial stage, because it could restrict its ability to adapt over time. Make a simple building and anticipate where features like a new room or porch could be added. This allows the house to change and grow as circumstances change. Skilled workmanship and fine craft are qualities all cultures respect, and their expression helps bridge cultural and class differences. People experience the "thinking hand of craft" as a gift, generosity. Select builders and craftspeople who realize there is more to work than a paycheck. Builders who take satisfaction in doing good work will be more engaged in the project if their standards of quality are shared by the owners and other participants. Traditional designs should not compromise contemporary life or our expectations for comfort. Integrate into the design the most up-to-date mechanical and communication systems, but not to stand out. Employ unobtrusive solutions that do not compete with the historical character of the project. Pre-modern houses were by necessity consciously adapted to climate and weather patterns since they lacked mechanical means, like air conditioning, to compensate. The current revival of regional architecture assumes that we can learn and benefit from local precedent. 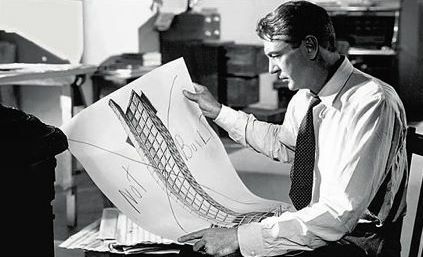 We can create better quality buildings and more satisfying places to live than what the real estate developers and architects offer--something cutting edge and Howard Roark types don't seem to understand. Thanks to Russell Versaci for his "Eight Pillars of Traditional Design" from Creating a New Old House. And wasn't it The Fountainhead that inspired 16-year-olds to become architects? Traditional knowledge is knowledge that has been remembered or recorded, handed down, pondered, corrected, practiced, and refined over a long time.